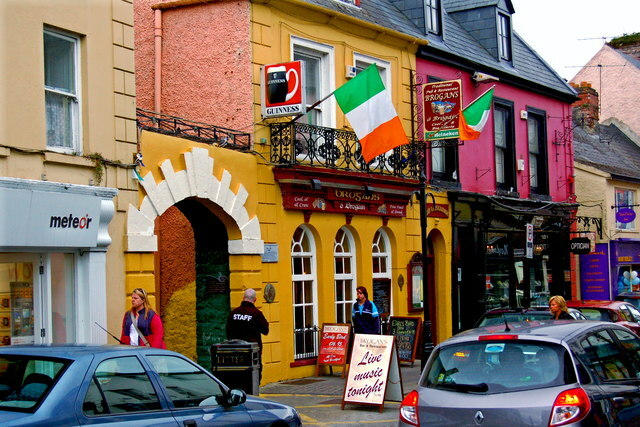 As the Mayor’s International approaches, the city of Ennis, Ireland has been publicized on our media platforms in an increased amount as we will be honoring the friendly city on April 26th. What better way to learn more about the city than knowing someone who grew up in Ennis? Mary Hill Connor is a native of Ennis, Co. Clare, Ireland. She has served the Ennis Committee of Phoenix Sister Cities for the ten years, including the last four years as its Chair. She also served on the board of the Irish Cultural and Learning Foundation (ICLF) for 3.5 years, including 2 years as Secretary. Growing up in Ennis, Mary highlighted how much fun she had as a child growing up in this small town. “It was innocent fun” she said, remembering the times where there was no sort of technological distractions that barred you from going outside. “We did a lot of outside play. All around the county. In the summer we would walk around the town and play in the rivers. We didn’t even have cars. We would have milk cows and deliver it in the morning but we were called townies because we had a grocery store” she said humorously. In the past several years, the Irish government has promoted Irish cultural programs that support the sustainability of Irish heritage. To learn more about the Ennis-themed Mayor’s International, visit our website!